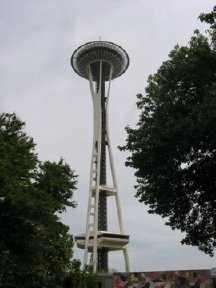 The Seattle Space Needle is the single most recognized structure in Seattle. The Seattle Space Needle is indeed quite a structure. First of all, though, if you're afraid of heights, I don't recommend that you go up to the top. When you take the elevator all the way up to the top and look out the windows, you can't really see the base of the needle and it feels like you're just floating in air. That, along with feeling the wind move the Space Needle, makes people with a fear of heights (like my wife) a little nervous. That being said, the view from the top of the Seattle Space Needle is awesome! You can get a 360 degree view of the whole Seattle area which is just breathtaking. If you go, though, you want to try to go on a day when the clouds aren't covering half the city. There's a shop at the top of the Space Needle, as well as a restaurant, but both are pretty expensive. Before I went to the Space Needle for the first time, I thought it was an isolated structure off by itself. But I think that one thing which makes it so cool is that it is right in the city. 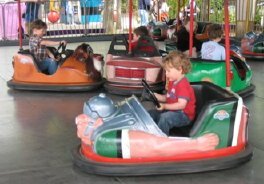 There are parking lots all around, and the Seattle Science Center is right there nearby, as well as the Experimental Music Project building and some other cool museums. You could literally spend your whole day there and still not have enough time to do everything there is to do! 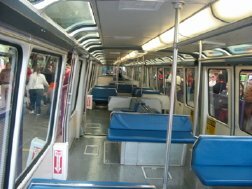 Plus, there is the (mini) Seattle Center Monorail that goes between the park at the Seattle Space Needle to the mall at Westlake, which is a neat little ride for the kids. So if you're going to go to the Space Needle (which I heartily recommend), take a day and do all of the things you can do in just that little area. It's great that they're all together because you can save time and the kids won't have to walk for too long. And with the Go Seattle Card , you get daytime admission to the Space Needle, along with a ton of other top-notch Seattle attractions and museums. Back from Seattle Space Needle.